The Roar Foundation, which I founded as a 501(c)(3) non-profit organization in 1983, exists solely to support The Shambala Preserve. 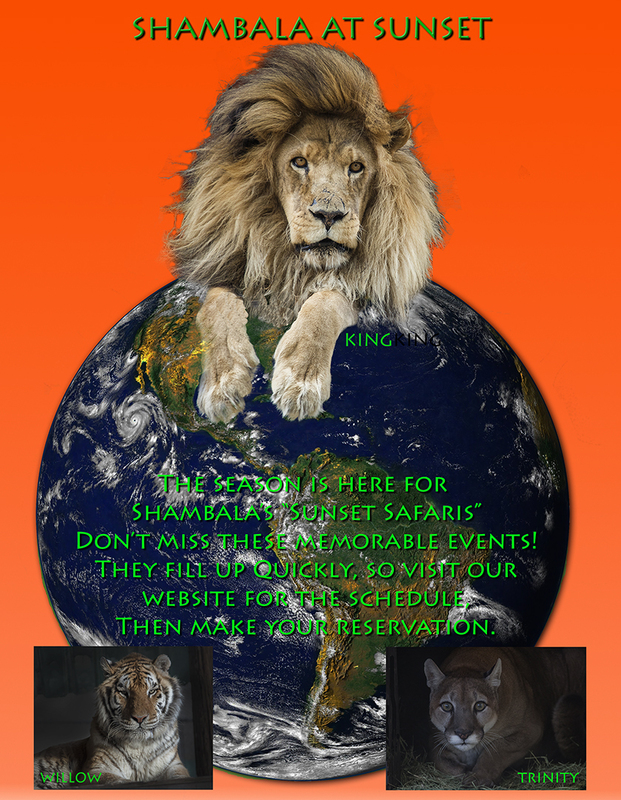 Our mission is to educate the public about the dangers of private ownership of exotic animals. Huge numbers of exotic dangerous animals are bred and sold in the United States for illegal purposes. Private ownership presents a grave danger to the public and is cruel and unfair to these animals. More stringent legislation is needed to prohibit breeding and selling. We are actively involved in legislating this on federal and state levels. Prior to 1983 I had been rescuing the exotic felines since 1972. Up to the present, The Shambala Preserve has given sanctuary to over 235 exotic felines - lion, tiger, cougar, black and spotted leopard, serval, bobcat, Asian leopard cat, snow leopard, cheetah, lynx, tigon, liger and African elephant. All have come to the Preserve after confiscation by authorities, such as California Fish and Game, U.S. Department of Agriculture, SPCA and Humane Societies. They are from roadside zoos and private citizens who realize they have purchased an animal they can no longer handle. The exotic cat trade is a huge business. According to US. Fish and Wildlife it is on a par with illegal drugs. 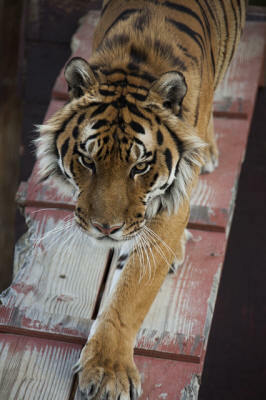 Once an animal is brought to Shambala, it remains here for the remainder of its life. As a true sanctuary, we do not buy, breed, sell, trade, or subject them to commercial use. Our only purpose is to allow these magnificent animals to live out their lives with care, understanding and dignity. Each has the best human, nutritional, medical, emotional and mental care possible. There are many ways you can support The Roar Foundation: become a Member of the Roar Foundation, Adopt a Wild One, provide an item from the Shambala Wish List; attend a Safari Tour: visit The Trading Post, become a volunteer, attend one of our hugely popular and unique Sunset Safaris, and for a truly memorable experience, spend an entire night in one of Shambala’s authentic African Tents! All of these help to further Shambala’s educational efforts and support our mission. 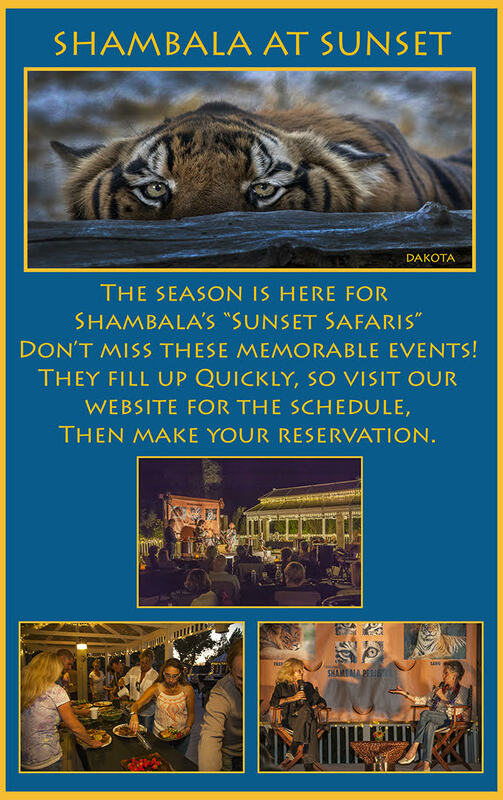 One special weekend a month, we hold the Safaris where Shambala opens the gates to the public for a small admission fee (by reservation only). All guests must be 18-yrs or older. Please come visit us and support our beautiful Wild Ones. Shambala is home to over 40 big cats: lions, tigers, cougars, black and spotted leopards, servals, bobcats, and Asian leopard cats, who live out their lives at Shambala. All have come to the Preserve after confiscation by authorities such as California Fish and Game, the United States Department of Agriculture, the ASCPA, and various Humane Societies. They are from roadside zoos and private citizens who realize that they have purchased an animal that they can no longer handle. The exotic cat trade is a huge business, just under illegal drugs, according to U.S. Fish and Wildlife. Once an animal is brought to Shambala, it remains here for the rest of its life. As a true sanctuary, we do not buy, breed, sell, trade, or subject our animals to commercial use. Our only purpose is to allow these magnificent animals to live out their lives with love and dignity. Each "Wild One" has the best human, nutritional, medical, emotional, and mental care possible. There are many ways you can support The Roar Foundation: you can "Join Our Pride" by becoming a member, become a "Wild Parent" through our adoption program, donate an item from our Wish List, attend a Safari Tour or an exclusive Sunset Safari, visit the Trading Post, volunteer, and for a truly memorable experience, an overnight Safari in one of our African tents! PREMIERES WEDNESDAY, NOVEMBER 15 AT 8 PM ET/PTNEW YORK – October 11, 2017 – In the wild, survival of the fittest is the only strategy that prevails, proving across all species who is most fit to be on top. Smithsonian Channel’s new Wild Wednesday lineup showcases the battles these animals must face to prove their dominance and protect themselves, their family and the land that they live on. Whether on the outskirts of the Ethiopian highlands or navigating through villages of India, all three predators learn how to adapt in the new environments where they are placed. Explore these incredible stories on Smithsonian Channel with the premieres of BABOON KING on Wednesday, October 18 at 8 p.m. ET/PT, LIONS UNLEASHED on Wednesday, November 8 at 8 p.m. ET/PT, and TIGER ON THE RUN on Wednesday, November 15 at 8 p.m. ET/PT. In Ethiopia’s highlands, one male’s power is being challenged by a handsome young Turk. BABOON KING unveils the story of Braveheart, an old and tired baboon, who is battling to stay on top of his many responsibilities. The breeding season is coming and his harem is watching him closely – can he rise above the odds to fight off the bachelors and win his females’ respect in time for the breeding season? Everything is at stake for Braveheart – his authority, his mating rights and, above all, his legacy. If he doesn’t prove that he is a capable leader and protector, he will lose the throne and everything he has ever fought for. LIONS UNLEASHED reveals a new era dawning in the heart of Africa. Twenty-five years ago, a brutal civil war stripped Rwanda of its most iconic wildlife. The Rwandan people have worked hard to restore their pride and rejuvenate the land, but there’s still one piece of the puzzle missing – lions. Leaving their native home in South Africa, seven lions are being transported to Akagera National Park, covering thousands of miles to the heart of Africa, in order to revive the local lion species. To survive in this foreign land, they will have to master a barrage of challenges. For the new lions, it should be a cinch to thrive in this new habitat, but this strange new land is anything but predictable. TIGER ON THE RUN explores the life of Kumal, a young Indian tiger who is forced out of his father’s territory by a rogue male and sets out on a remarkable journey to adulthood in the wilds of central India. Time and space are running out, and to continue his legacy, he must find a territory of his own and a mate. Harassed by local villagers and hampered by his poor hunting skills, Kumal is left on the brink of starvation. He must adapt quickly to a life on his own or his very survival will be at stake. BABOON KING is produced by Julie King and Graeme Duane for Earth Touch. John Cavanagh and David Royle serve as executive producers for Smithsonian Channel. LIONS UNLEASHED is produced by Kira Ivanoff and Graeme Duane for Earth Touch. John Cavanagh and David Royle serve as executive producers for Smithsonian Channel. TIGER ON THE RUN is produced by Graeme Duane for Earth Touch. 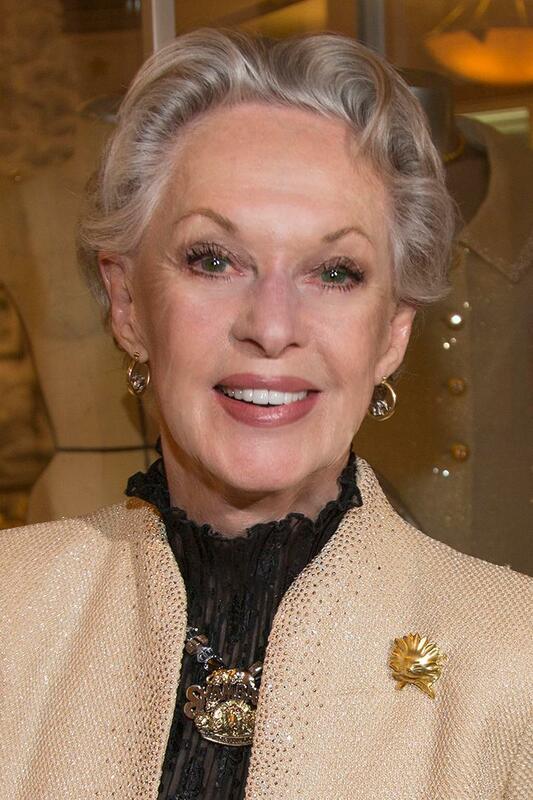 Joy Galane and David Royle serve as executive producers for Smithsonian Channel. Smithsonian Channel™, owned by Smithsonian Networks™, a joint venture between Showtime Networks Inc. and the Smithsonian Institution, is where curiosity lives, inspiration strikes and wonders never cease. This is the place for awe-inspiring stories, powerful documentaries and amazing entertainment across multiple platforms. Smithsonian Channel combines the storytelling prowess of SHOWTIME® with the unmatched resources and rich traditions of the Smithsonian, to create award-winning programming that shines new light on popular genres such as air and space, history, science, nature, and pop culture. Among the network’s offerings are series including Aerial America, Million Dollar American Princesses, Polar Bear Town, The Weapon Hunter, The Lost Tapes, Mighty Ships, Mighty Planes and Air Disasters, as well as critically-acclaimed specials that include Building Star Trek, The Unknown Flag Raiser of Iwo Jima, MLK: The Assassination Tapes and The Day Kennedy Died. Smithsonian Networks also operates Smithsonian Earth(TM), through SN Digital LLC., a new subscription video streaming service delivering spectacular original nature and wildlife content. To learn more, go to www.smithsonianchannel.com, or connect with us on Facebook, //twitter.com/@SmithsonianChan">Twitter, and Instagram.